Grout and About – Contact me now for a free quotation. 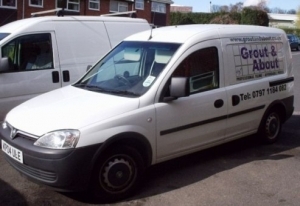 Grout and About is an established business, based in Arnold, Nottingham, providing tiling services at affordable prices to the East Midlands area. All of my work is carried out to a very high standard. I only use quality products and materials to ensure the best possible finish. I offer a free quotation and advice service and offer advice on reputable local suppliers.